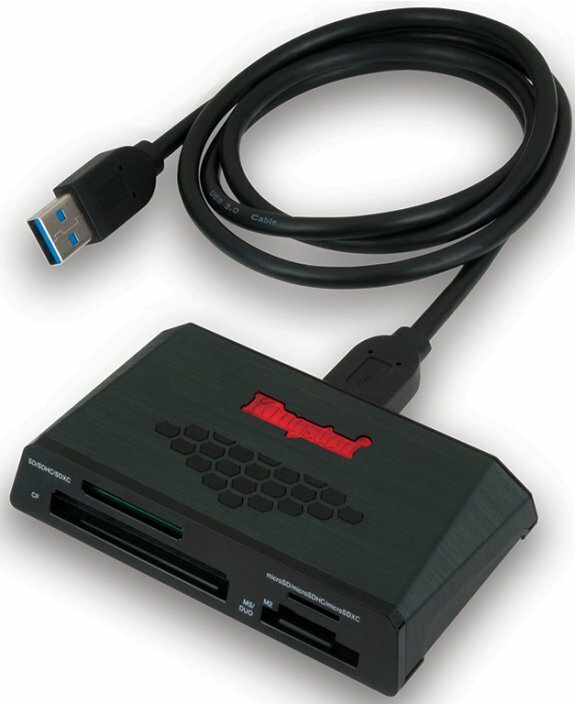 Kingston announced a new USB 3.0 Media Reader, it will be sold in retail stores for around $45. It supports various CF, SD, microSD and Memory Stick/M2 formats. Kingston Digital, Inc., the Flash memory affiliate of Kingston Technology Company, Inc., the independent world leader in memory products, today announced the launch of the Kingston® USB 3.0 Media Reader. The reader takes advantage of performance benefits offered by USB 3.0 technology, allowing for faster data download times.